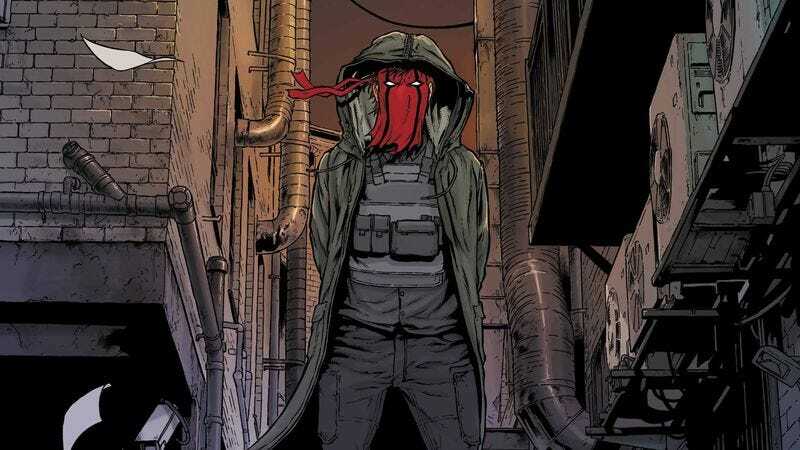 Writer Warren Ellis returning to DC Comics to relaunch the Wildstorm universe is one of the most exciting superhero projects of this year, and it’s especially compelling because DC is giving Ellis the freedom to approach The Wild Storm exactly how he wants. Working with artist Jon Davis-Hunt and colorists Ivan Plascencia and Steve Buccellato, Ellis is slowly building up this new world, establishing an atmosphere of suspense and intrigue before overloading the reader with expository information. The first issue introduced new versions of familiar Wildstorm faces like Zealot, Priscilla “Voodoo” Kitaen, and Angie “Engineer” Spica while setting up tension between giant corporations and shadowy organizations, laying the groundwork for major conflict down the line but beginning with a more subdued, character-centric approach. This preview of next week’s The Wild Storm #2 picks up the story by checking in on Angie after her daring rescue in the first issue, and it’s a striking example of how much trust Ellis puts in his artistic collaborators to carry the majority of the storytelling weight. There’s one line of dialogue in these five pages, and the rest of the content is dedicated to visually depicting Angela’s isolation as she seeks refuge in the abandoned U.S. government installation, Camp Hero. These pages spotlight the clarity in Davis-Hunt’s storytelling and the detail he puts in his environments and character designs (the Engineer mecha-armor looks so cool), and Buccellato’s colors brighten when Angie is tapping into the suit’s strength, creating a contrast for when she powers down and is surrounded by dull browns. It may not look like much is happening in these pages, but they give readers a strong impression of Angie’s fragility, and that focus on the emotional life of these characters is what will ultimately make readers connect more deeply to the story this creative team is telling.